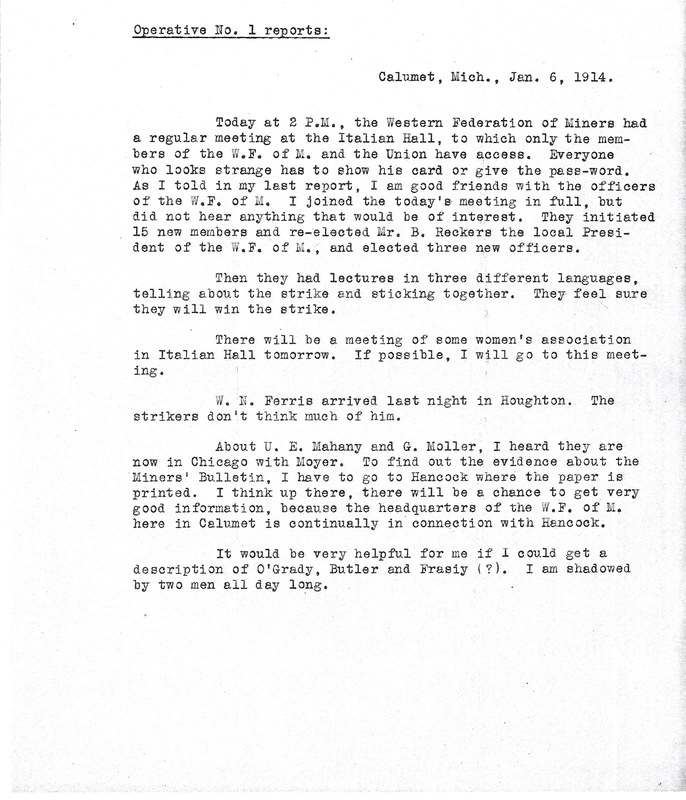 Operative #1 quickly made his way into the daily activities of the WFM in Calumet. His cover as a socialist journalist served him well. He also seemed to possibly be an immigrant. Though he does well with English, various reports back to his handlers suggest that English was not his first language. 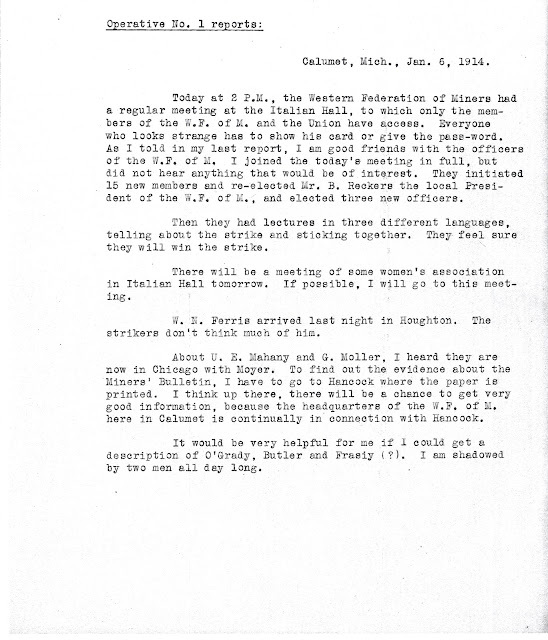 In this communique on January 6, the operative indicates that the strikers were not enamored with Michigan's Governor Woodbridge N. Ferris. His report also indicates that he was being followed by 2 men, but who were they working for? Could be men from the WFM checking up on this "journalist," but equally possible is that these were 2 C&H company men checking up on C&H's investment in a labor spy. 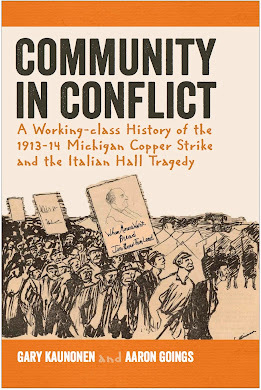 As we write in Community in Conflict, in the aftermath of the terrible events at Italian Hall, intrigue in the area was at an all-time high, especially for the man who was tasked with finding the person who cried fire in Italian Hall. Suspicion on all sides, was inescapable. new job, he was nervous, but he also had good reason to be downright terrified. Socialist newspapers in Denver, Colo.’ and showed him my card.'"